There’s no shortage of Apple-focused conferences for professionals to gather with their peers. We have once again collected details—or at least dates—for all the Apple-related conferences we can find; if we’ve missed any, let us know in the comments so we can add them. We’ve sorted them by date so you can scroll through and see which might fit into your schedule. In terms of our attendance, Adam Engst will be at the ACEs Conference in May and is likely to go to MacTech Conference in October. If regular TidBITS contributors are asked to speak at any other conferences, we’ll be sure to mention that in a future article. Formerly known as Mdevcon, Appdevcon is held in Amsterdam for mobile app developers, with sessions for both iOS and Android developers. Returning for its sixth year, iOSCon takes place at the CodeNode venue in London for two days. The program features a number of sessions on building apps with Swift. try! Swift is an international community gathering in Tokyo to learn about the latest advances in Apple’s Swift programming language. The Mac Admin & Developer Conference is, as they say in the UK, just what it says on the tin. Now in its third year, the two-day conference offers sessions on the Terminal, automation, security, device management, and other topics of interest to Mac IT professionals. It’s held near Borough Market in London. The Canadian conference NSNorth is returning after a three-year hiatus. Held in the St. James Theater in Old Montreal, the conference offers a broad range of topics of interest to developers and designers. Another conference for mobile app developers, App Builders Switzerland will take place in Lugano. It offers two tracks: one for iOS developers and another for Android developers. The Xojo Developer Conference will take place at the Marriott Biscayne Bay in sunny Miami. Originally called REALbasic, Xojo is an object-oriented cross-platform development tool that can create native macOS, iOS, Windows, Linux, Raspberry Pi, and Web apps. Look forward to 30+ educational sessions, networking, and two evening social events. If you work in Apple IT and speak French, check out the two-day Command-iT event at the Grand Rex movie theater in Paris, France. The first day provides eight sessions with dedicated French speakers about the challenges, hurdles, and guilty pleasures of Apple product administration, security, and deployment. On the second day, four workshops give attendees the opportunity to put the lessons learned the previous day into practice. As a TidBITS reader put it, the LiveCode development environment is the spiritual successor to all things HyperCard, and it can create apps that run under macOS and iOS, not to mention Windows, Android, Linux, and HTML5. The LiveCode Conference takes place in San Jose shortly before WWDC. Billed as “Berlin’s independent conference for serious iOS developers,” UIKonf focuses on cutting-edge topics in iOS development, mobile design, and business. Organized by Apple consultant Justin Esgar, the ACEs Conference moves to Kansas City, Missouri for its fifth year and promises to be “the place for inspiration, ideas, business networking, and instantly applicable knowledge.” Focusing on ways that Apple consultants can grow their IT businesses, past topics have included the pros and cons of managed services, content marketing (from Adam Engst), and business productivity (by Jeff Porten). TidBITS readers can save 10% on tickets. Apple’s Worldwide Developers Conference will once again take place at the McEnery Convention Center in San Jose from June 3rd through 7th. Tickets, which cost $1599, are once again being distributed by lottery to registered developers who wish to attend. Apple also offers student scholarships that including lodging. AltConf is a free, community-driven event that takes place at the San Jose Marriott alongside WWDC, offering additional talks and events for those who weren’t lucky enough to get into WWDC or who want a break from Apple’s Reality Distortion Field. Tickets are free, but donating $360 guarantees a seat if the space fills up. New this year is a keynote-themed escape room. If you can’t make it to San Jose, there are now four one-day AltConf events across Europe, all on 3 June 2019. Viewing the keynote is free, but admission to the rest of the sessions costs £60 or €60, which includes lunch. MacDevOps:YVR is held in Vancouver, Canada on the campus of Simon Fraser University. If you code as part of managing Apple devices, check out this conference. Tickets provide over 20 educational sessions; 10 hours of networking; an evening reception; and breakfast, lunch, and snacks. Hosted at the Penn Stater Hotel and Conference Center in State College, PA, the MacAdmins conference is “for anyone who deploys and manages Macs and iOS devices.” Registration will include workshops, breakout sessions, and networking events when it opens in March. Macstock is returning for its fifth year in Woodstock, IL, providing one of the few conferences focused on productivity for end users. Past speakers have included Bob “Dr. Mac” LeVitus, videographer Wally Cherwinski, and podcaster Allison Sheridan. This one’s pretty specific, but since the FileMaker Developer Conference is open to the public and FileMaker is an Apple subsidiary, we’re including it. It takes place at the Gaylord Palms Resort in Orlando, Florida and provides more than 80 sessions aimed at helping you create FileMaker apps for mobile, cloud, and on-premise environments. Claiming to be “the leading indie iOS/Mac (and watchOS, and tvOS) developer conference,” 360|iDev happens at the Grand Hyatt Denver in Denver. It provides four days of hands-on training, sessions, and community networking, all in Swift. Focused on iOS development topics, the ninth installment of iOSDevUK takes place in Aberystwyth, UK. Tickets will go on sale in March. try! Swift is an international community gathering in New York to learn about the latest advances in Apple’s Swift programming language. Past speakers have included Ash Furrow of Artsy, Erica Correa of XO Group Inc, and Sebastiaan de With, formerly of Apple. Digital Book World takes place at the Music City Center in Nashville, Tennessee. Sessions cover all aspects of the publishing industry, but often with a special focus on Apple and Apple Books. For German-speaking Apple developers, the 12th annual Macoun conference in Frankfurt, Germany is worth checking out. Up to 500 attendees will spend three days focused on all things iOS, macOS, and watchOS. Moving from November to October, the Los Angeles-based MacTech Conference offers attendees three days of sessions, seminars, and vendor interaction, plus pre-conference workshops and a pair of superlative evening activities. We’ve attended many times (see “MacTech Conference 2012 Opens Mental Doors,” 22 October 2012, “MacTech Conference 2013 Abounds with Networking and Fun,” 11 November 2013, and “Three Highlights from MacTech Conference 2015,” 9 November 2015) and recommend it highly to Apple IT professionals. 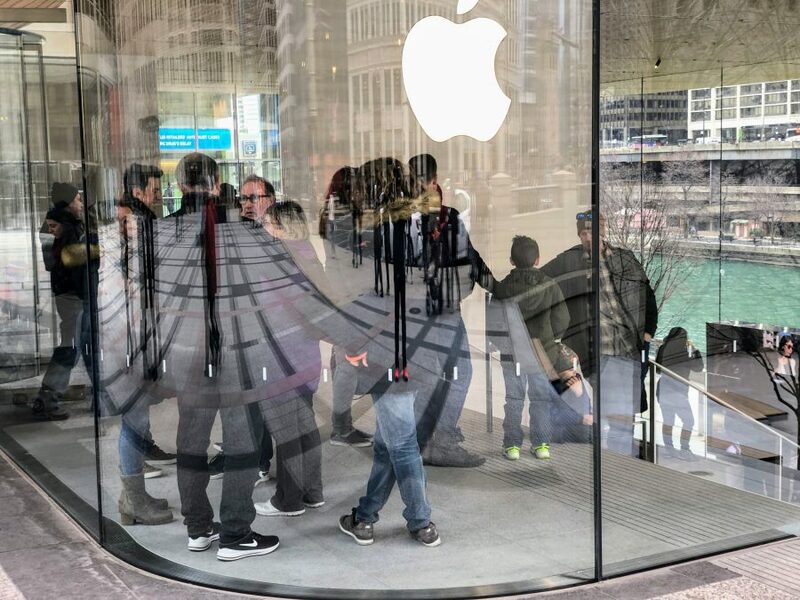 Held in downtown Minneapolis, the JNUC provides product demo and preview sessions, in-depth tech sessions, sessions dedicated to Apple services, and certification courses. We wrote about it the last few years in “JNUC 2018: How Organizations Use Apple Devices as Tools of Change” (9 November 2018( and “JNUC 2017: A Glimpse into the World of Apple Enterprise” (3 November 2017). In another opportunity for German-speaking Apple developers, heise MacDev is a new conference in Karlsruhe, Germany, aimed at covering all aspects of software development for Apple devices, including the Mac, iPhone, iPad, as well as Apple Watch and Apple TV. There are quite a few conferences that haven’t explicitly canceled or announced details for 2019 so far. We’ll update this article as we learn more. If we’ve missed any notable Apple-focused conferences that are open to the public and attract attendees from a broad geographic area, please let us know in the comments, and we’ll look into adding them.